Porsche presented this Porsche 911 ST 2.5 to the public in 2016 at the Techno Classica for the 1st time after being metriculously restored. The story of this Porsche 911 ST 2.5 reads as a thriller. The car started it’s life as a stock 1972 Porsche 911S 2.4. 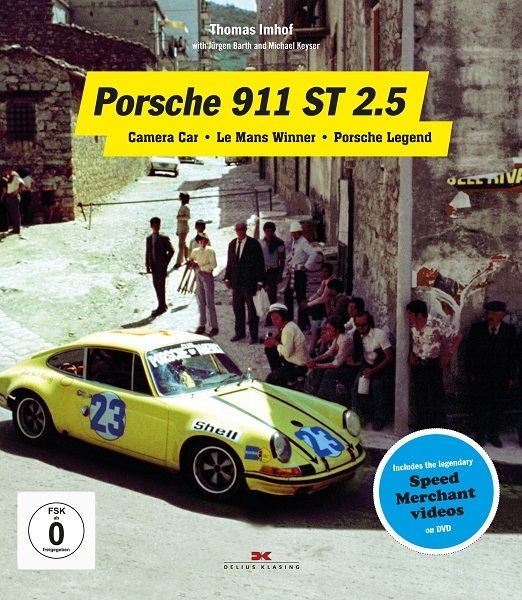 As one of only 24 cars, the car was transformed to to ST specification by Porsche’s customer sports department This Porsche 911 ST 2.5, with chassis number 911 230 0538, was at the 1972 World Sportscar Championship and also became class winner at the 24 Hours of Le Mans, just a few months after the transformation. In 1972 the team of Michael Keyser and Jürgen Barth participated in the long-distance race world championship in the USA, the 6 hours of Daytona, then the 12 hours of Sebring, followed by the Targa Florio and the 1000-kilometre race at the Nürburgring. Highlight of the season was the 24 Hours of Le Mans. More races followed. At three races the rare car was even used as a dolly – that is, with cameras in the front and back, to shoot scenes for the film „The Speed Merchants“ that would be released later on. After a crash in California, the car was retired to be rediscovered by 2 Swiss Porsche enthusiasts. And that’s not the end of the story, as the car then was brought back to it’s previous glory with the help of Porsche Classic.